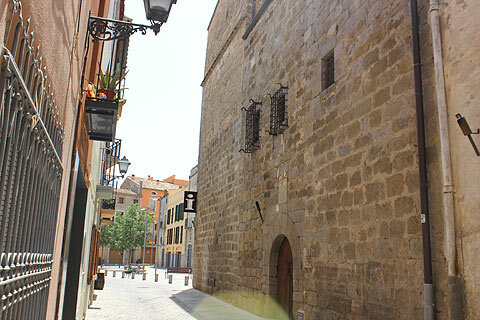 Castello d'Empuries is in the province of Girona in Spain's Catalonia region. 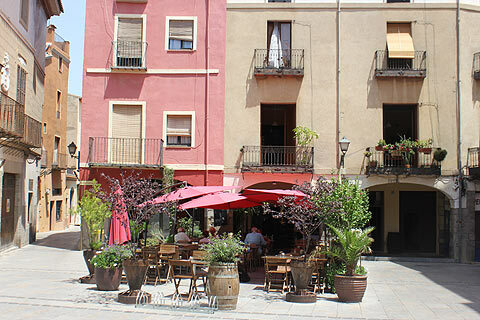 It is a charming medieval village inland of Roses on the Costa Brava coast. Castello d'Empuries is inland of Roses and about half way to the town of Figueres with its wonderful Salvador Dali museum. If you are looking for a rest from the beach then this is an interesting village to head for. Once the capital of Empuries and destined to be the centre of an Episcopal see a huge church was built in the 13th century. 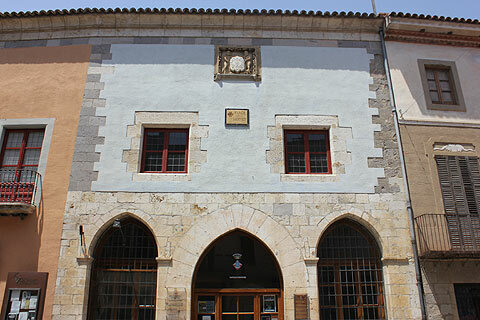 In fact because of arguments Castello never became a religious centre and the church now seems very big given the size of the town- indeed it is often referred to as the Cathedral of Empuries. 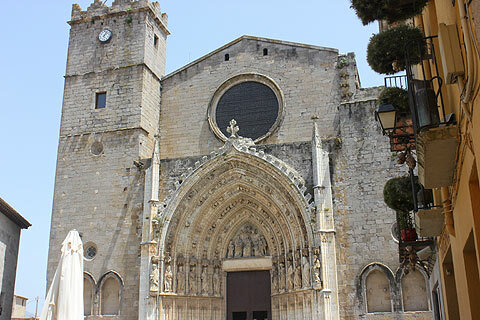 The Santa Maria church is Gothic in style and has a beautiful ornate doorway. Inside is an ornate alabaster alterpiece and a huge baroque organ. 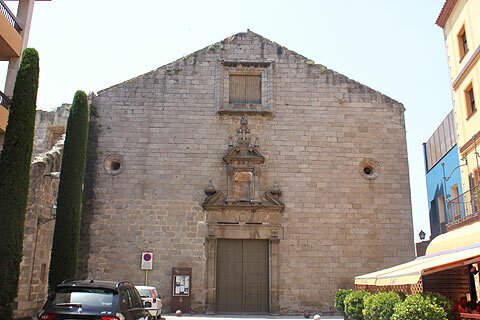 Nearby is the convent of Santa Clara which was built in the 12th-13th century. Also of interest is the prison built in the 14th century. This is another Gothic style building and contains graffiti made by prisoners. 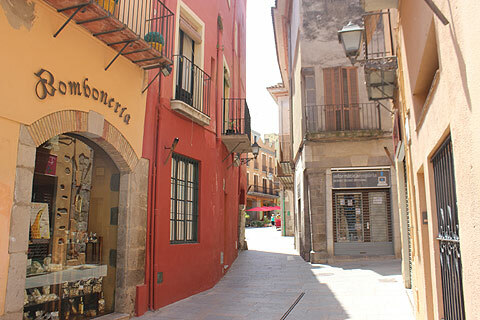 Castello d-Empuries has retained its medieval charm and wandering through its narrow streets, admiring the medieval architecture is a pleasure. There are a couple of shady squares - ideal to sit and have lunch or a coffee and enjoy the tranquility which is incredible given how close is the coast with its throngs of people. There are numerous impressive houses to admire: the Casa Grande built in the 14th century is an austere example of civil Gothic Catalan architecture. 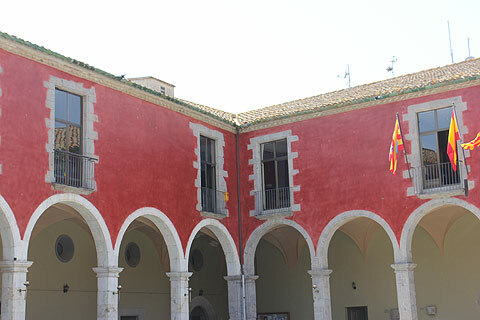 The Hospital Mayor o Aduana has Gothic arches and the attractive Lonja was built in the 14th century and revamped somewhat in the 18th century. There is also an ecomuseum in an old flour mill. Inside you can see the workings of the mill, largely built of wood. Every year in September there is a large medieval festival, the Terra de Troubadours, during which there are medieval costumes, crafts, music and theatre as well as a large medieval feast. This is a particularly good time to visit Castello d'Empuries. Another festival is held every year around the 10th August. Nearby Empuriabrava is a huge marina and resort which is particularly attractive for lovers of watersports. The small village of Sant Pere Pescador is quite attractive and is the closest village to the Natural Parc of Aiguamolls de l'Emporda - a wetland reserve great for birdwatching.